Another great reason to visit the 23 de Junio besides the Long-wattled Umbrellabird is the Black Solitare (Entomodestes coracinus). This bird, of the Turdus family, can be found on the western slopes of Ecuador and Colombia. Due to its large distribution area, its current conservation status is listed as least concern, but its population numbers are considered to be decreasing due to its habitat destruction. I have looked for this secretive bird in a few places and finally saw it and photographed last week at my favorite and reliable Umbrellabird site. This was a very interesting experience with quick breaths, speeding heartbeats, and a few tense moments of not being able to photograph the bird due to fog. I was also shocked by the fact that playback scared the bird while the human whistle produced by Luis Ajilla father attracted the bird within photographing range. So I have to thank Luis Ajilla for his bird luring abilities and his great efforts in providing birdwatchers a great and humble place to see great birds. One of my favorite species and highlights in Ecuador. I was reeling with excitement when I saw a pair of this striking thrush at Mashpi. Thanks for sharing your stories about incredible birds! I understand very well your excitement regarding this special bird. I saw it twice in my life. 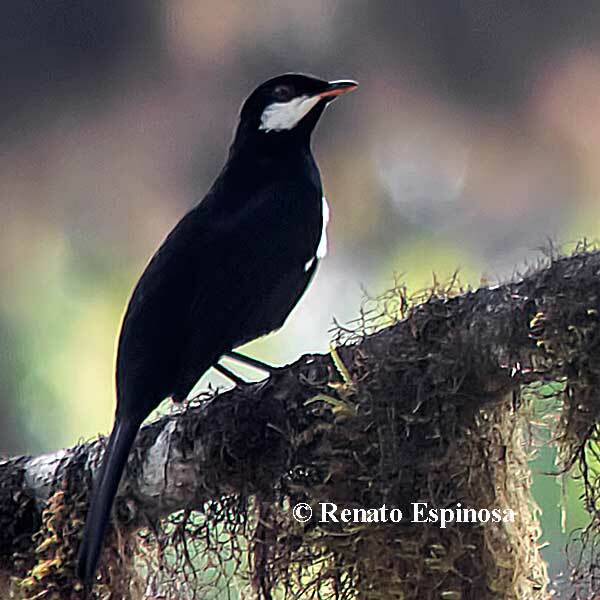 The first time, it was on Nov, 14th/2000 and I was guided by Francisco “Pancho” Sornoza for whom that incredible bird was his 1 400th species seen in Ecuador. A great milestone for him. It was on Old Nono Road, in a place where this bird was unlikely to be seen (because of the habitat). And the second time, it was at Mashpi, like Carlos, on Dec, 10th/ 2010. A very short sight, but sufficiant to confirm the species. This spot is just incredible. Congrats! Great bird and one that I still need (sigh). Thank you all for sharing your excitment about this great bird.